Your Premier Gutter Installation & Maintenance Contractor! Why choose Ecoclean for all your Gutter Maintenance & Installation projects? Ecoclean Property Services is a premier, family owned and operated full service gutter maintenance & installation contractor serving central Pennsylvania. 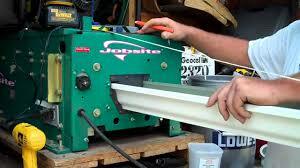 We utilize our skills to help home and business owners keep their gutter systems in top condition. We specialize in Seamless Gutter installation, Flexxpoint gutter guard installation as well as gutter repair and cleaning! Regardless of whether your project is big or small we're capable of getting your project done on time and on budget. Leave the heavy lifting and dirty work to us! We also stand behind our work by offering a Lifetime Warranty on all Seamless Gutter Installations and a Manufacturers 30 Year Warranty on all Flexxpoint Gutter Guard Installations as well as a 100% Customer Satisfaction Guarantee on all our work. We are a Pa licensed home improvement contractor (HIC Pa#121016) and we're fully and properly insured for your piece of mind and protection. COMPARE OUR GUTTER PROTECTION TO OUR COMPETITION! If you'd like maintenance free gutters and never want to climb a ladder to clean your gutters again then we have the affordable solution for you! Don't pay 10 times more than you need to! Guaranteed best prices, best customer service before and after the sale and best warranty in the entire gutter protection industry! You owe it to yourself and your wallet to call us today to arrange your free, no obligation estimate! Flexxpoint guards come in white, brown and thermal thaw black! How does our 30 Year "N0 Clog" Manufacturers Warranty work? We are so confident in our Flexxpoint gutter guards that we don't just talk about how good our warranty is, we stand behind it! ****If you ever have any problems with our Flexxpoint guards after installation simply call us and we come out and take care of any issues at no charge to you with no questions asked**** NO ONE ELSE CAN SAY THAT! Some of our competitors may claim to offer Lifetime Warranties but that does little good when they deny all claims! Compare our prices to our competitors and you will be shocked! We dare you to compare! LeafFilter = is a micro mesh style gutter guard system. The downfall of ALL micro mesh style gutter guards is that your roofs asphalt shingles emit oils that will completely clog the micro mesh covering within a year or two rendering these guards completely useless. Water will just flow right over them like a sliding board and eventually cause water damage to your home. These guards will cost anywhere between $30 and $50 a foot. This company is famous for deleting bad reviews and negative comments online and on social media so buyer beware! LeafGuard by Englert = requires removing all your existing gutters for their own entire system. This is considered a helmet or waterfall style gutter. 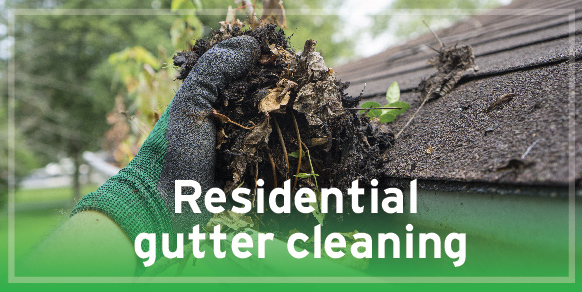 They claim leaves and debris can't enter your gutters but they clearly can and will allow debris in and after a few years they will become completely blocked and start overflowing which will cause water damage to your home. The worst part is when this happens you can't even get in your gutters to clean them out and the entire system will have to be removed. This system can cost anywhere from $32 to $50 a foot to install. LeafGard by The Gutter Guys = uses a helmet / waterfall style guard that slides under your roofs shingles and attaches with an internal gutter bracket. The most important thing to understand is that any gutter guard that slides under your roofs shingles WILL void your roofs warranty. They may claim it won't void your roofs warranty but a call to your shingle manufacturer will prove otherwise. They claim leaves and debris can't enter your gutters but they clearly can and will allow debris in and after a few years they will become completely blocked and start overflowing which will cause water damage to your home. When this happens you can't even get in your gutters to clean them out and the system will have to be removed. This guard sells for between $18 and $25 a foot. Gutter Helmet = uses a helmet / waterfall style guard that slides under your roofs shingles and attaches with an internal gutter bracket. The most important thing to understand is that any gutter guard that slides under your roofs shingles WILL void your roofs warranty. They claim leaves and debris can't enter your gutters but they clearly can and will allow debris in and after a few years they will become completely blocked and start overflowing which will cause water damage to your home. When this happens you can't even get in your gutters to clean them out and the system will have to be removed. This guard sells for between $25 and $35 a foot. These and many other types of gutter protection systems can cost as much as $50.00 a foot or as much as $10,000 per home depending on size and the worst part is these systems don't even work! That is simply a waste of your hard earned money! Many people equate high cost to high quality but that couldn't be further from the truth when it comes to gutter protection. Good luck finding real reviews for our competitors gutter protection! If you send us a request for a quote on a service be sure to check your spam folder for our reply depending on your email settings. Many of our customers have told us our replies go to their spam folder. We have since changed our reply form to include a phone number so we have some way to reply in the event our reply goes to spam! Read Over 425 Trusted Amazon Reviews For Flexxpoint Gutter Guards! Best Deal On Gutter Protection Guaranteed. Take advantage of the savings now! We Guarantee we'll save you thousands of dollars over our competitors prices on quality gutter protection solutions! Would you like maintenance free gutters? Never clean your gutters or climb a ladder again guaranteed! We have the affordable solution, don't pay 10 times more than you need to! Guaranteed best prices, service and warranty in the entire gutter protection industry! Compare our prices to our competitors and you will be shocked! We dare you to compare! If you've ever thought about investing in gutter protection for your home the time is now! You will never have to clean or pay to have your gutters cleaned again and we guarantee it! 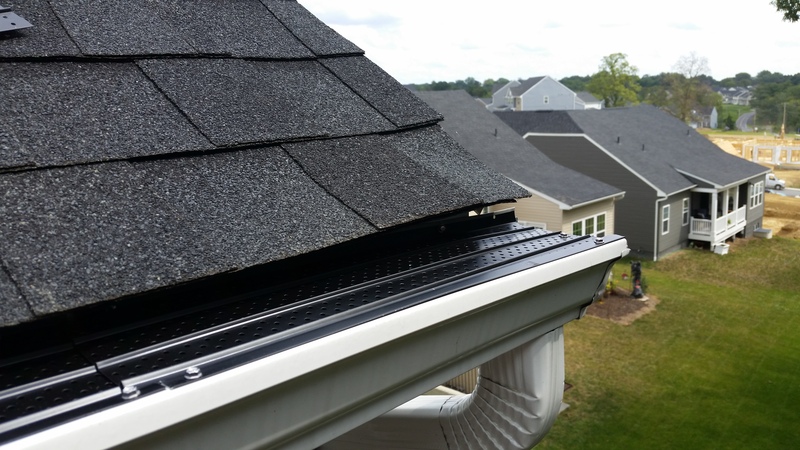 Our installation service includes gutter and downspout cleaning, gutter tune up and installation of Flexxpoint Gutter Guards and the 30 Year No Clog Manufactures Warranty in writing. No separate pricing! No hidden fees! One low price per foot and as always FREE ESTIMATES! Don't throw your hard earned money away on overpriced, inferior gutter guard systems! Gutter Protection Systems by LeafFilter, LeafGuard, The Gutter Guys and Gutter Helmet can cost as much as $40.00 a foot or as much as $10,000 per home depending on size and the worst part is these systems don't even work! That is simply a crazy waste of your hard earned money! Many people equate high cost to high quality but that couldn't be further from the truth when it comes to gutter protection. While many of these "High Priced" brands offer "Lifetime Warranties" a warranty is worthless if it doesn't cover anything and your claim is denied. Some of these companies are famous for deleting bad reviews and comments online and denying warranty claims, I know firsthand because I work with their customers replacing these overpriced, non functioning systems all the time with our Flexxpoint Gutter Guard System. Don't fall prey to their pushy, high pressure sales people. Don't make a $5,000 mistake! Ecoclean Property Services takes a totally different approach with our Flexxpoint Gutter Guard Systems. We are a small family owned business and we don't have any pushy salesman. The owner will provide you with a free estimate and also be the one doing the installation to ensure your complete satisfaction. We don't use subcontractors who only worry about getting paid, don't have much training and don't take pride in their work. We have installed dozens of different types and brands of gutter protection over the years and to be totally honest most guards simply don't work. Micro mesh guards work well for a year or two before they become clogged from the oils emitted from your shingle roof rendering them completely useless. Helmet style guards sound like a good idea until you realize that debris can actually get in your gutter causing clogging and overflowing and because of their design you can't even get into the gutter to clean them. We replace systems like these every single week with our affordable Flexxpoint Gutter Guard System at a small fraction of the cost with outstanding results and a 30 Year "N0 Clog" Manufacturers Warranty that actually stands behind their product because they know it works! ****If you ever have any problems with our guards after installation simply call us and we come out and take care of any issues at no charge to you. ****No one else can say that! 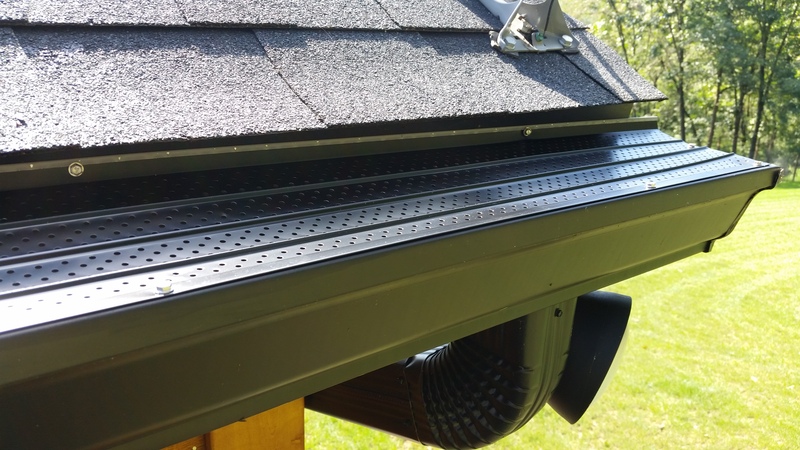 We offer the Flexxpoint Gutter Guard System which is an aluminum perforated guard with raised center ridges to allow airflow under debris to promote self cleaning. They are installed in four foot overlapping sections and are fastened to the front, top lip of the gutter as well as the rear fascia with stainless steel zip screws which strengthens the entire gutter system after installation. Once installed these guards can not be seen from the ground so they do not detract from your homes curb appeal and because of this although they come in white, black and brown many people are going with the thermal thaw black guards to aid in the melting of snow and ice during the daily freeze and thaw cycles after a snow event. It is proven that black guards will rid the snow and ice four times faster than white guards which will help to eliminate ice damming issues. We install year round and smart consumers buy while prices are at their lowest! If you ever thought about investing in gutter protection for your home the time is right now! Protecting your homes gutters shouldn't cost a fortune and now it doesn't. Why spend up to 10 times more for an overpriced, inferior gutter system with useless warranties when you can get high quality gutter protection that actually works for a small fraction of what the big guys charge and a warranty that has you covered before and after the sale. You owe it to yourself and your wallet to call us today to arrange your free estimate! Flexxpoint is a small aluminum manufacturing company located in Huron, OH. All products are made right here in the good old USA. Flexxpoint sells to both contractors and homeowners on their website flexxpointdirect.com as well as Amazon. Read Over 425 Trusted Amazon Reviews For Flexxpoint Gutter Guards By Homeowners Just Like You! Flexxpoiont Gutter Guards in different colors! 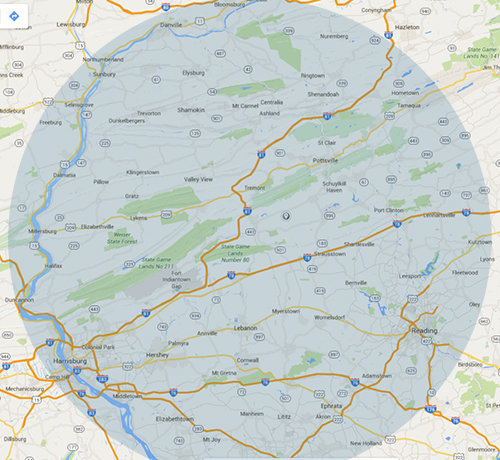 We serve Schuylkill County, Berks County, Lebanon County, Dauphin County, Cumberland County, Lehigh County, Bucks County, Montgomery County, Northumberland County, Columbia County. Hired these guys to pressure wash our composite deck, couldn’t be happier with our decision! Went above and beyond for us. Ecoclean installed our gutter guards for about half of what several other contractors were charging and they came with a 30 year warranty….couldn’t be happier! 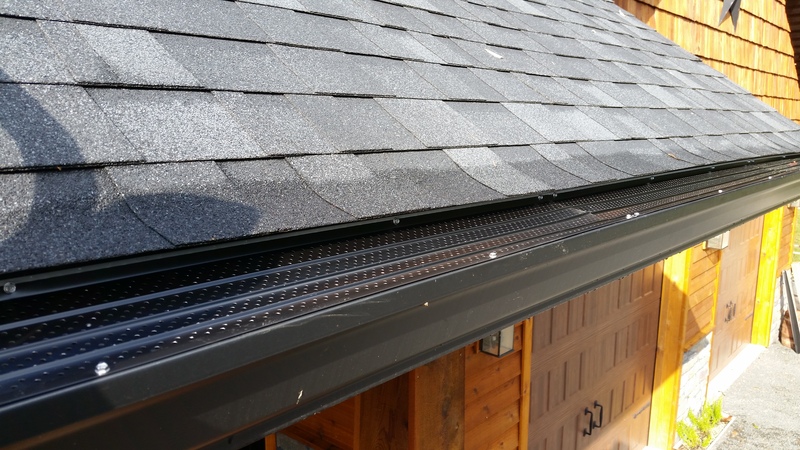 We had Ecoclean put on gutter guards so we don’t have to clean our gutters anymore! We had them wash our home and surface clean our concrete driveway and both look good as new. Thank you Ecoclean! Thanks for a wonderful job. Ecoclean washed our house and installed gutter guards because of all the trees. We will use them for other projects in the future! We had them clean and install gutter guards on our home and pole building. Great price and work. All I can say is great job! We hired them to pressure wash our driveway, sidewalk and house. We couldn’t be happier with the way everything turned out! My wife and I are very busy since I started my new job so we hired Ecoclean Property Services to install gutter screens. They do nice work and it saves us from trying to find the time to do it. I recommend them to my friends and family. I am a single mother of two boys who keep me busy. 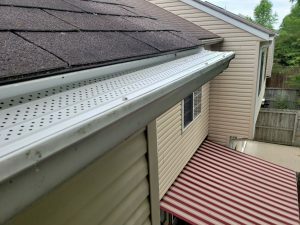 I don’t have much time or much money to spend on projects but Ecoclean worked with my budget to repair and clean my gutters. Thank you very much. Nice job at a wonderful price. I would definitely recommend them. I am using them for spring projects including a house and deck wash.
We had them replace a section of gutter and install gutter protection and the difference is amazing and all at a fair price compared to other companies. My wife and I hired this local company to pressure wash our home and install the gutter screens. They do the nicest work I’ve seen, they are very particular and thoughtful in how they work. They do nice work and clean up after themselves. The last company I hired threw all the debris from our gutters on the ground. Thank you. We had several companies quote our new gutter protection project and we were surprised at how cost effective Ecocleans quote was compared to the other contractors. After talking with these guys we decided to go with them. Bill was very knowledgeable and were happy to answer all our questions. We couldn’t be happier with our decision, they did outstanding work…top notch!